When Amma was younger in her teens, twenties and thirties, she would lapse into blissful ecstasy reveling in her inner communion with God. This occured on an almost daily basis. It was common for her to lose outer consciousness. Amma: (Abstractedly) "Oh...I don't know. They just come like that. (After a short pause) Do you know how much I am struggling to stay here in this world in the midst of all of you? It is really very difficult. But when Mother remembers the sorrows and sufferings of the people, Her mind melts and becomes compassionate. That is what keeps Her mind down here." As told by Swami Amritaswarupananda, Awaken Children, vol. 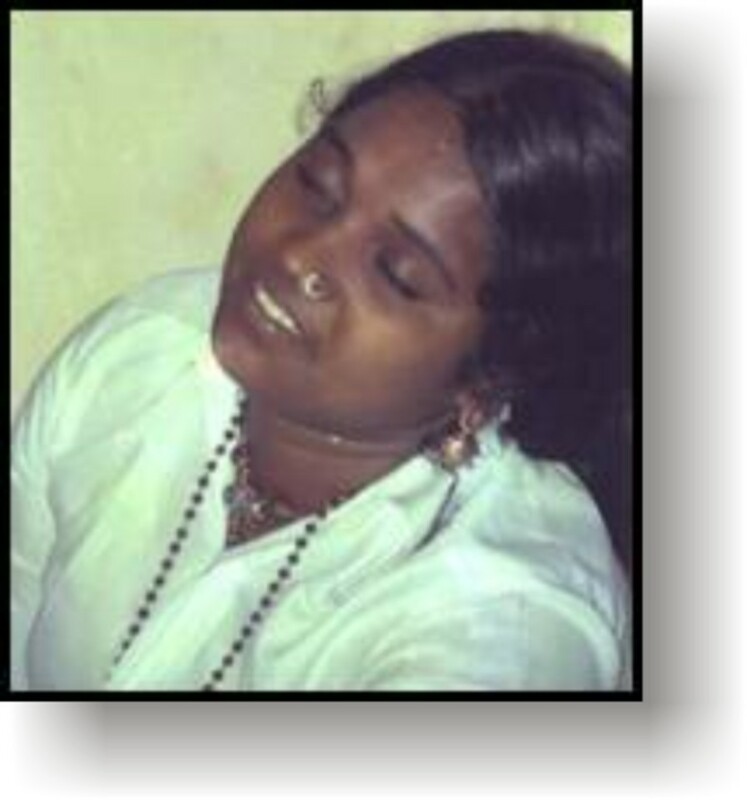 2, Amma often talks about herself in the third person. Below is a description of one such event. At six-thirty in the evening the residents began the singing of bhajans. After a few songs, Brahmacharin Balu started singing Saranagati (O Mother, Give Refuge). By the time the Holy Mother came to join in, the same song was still being sung since it was a long bhajan. She took over the lead singing. With a heart endowed with intense yearning. O Mother, Thou alone knowest Thee indeed. This child inquires about Thee. This poor child of Thine. To shower Thy Grace upon this child? On the same fingertips of Thine? I wish to inundate Thy Holy Feet with my tears. Is the call of loving devotion unto Thee. The bhajan ended with these lines. Enjoying the experience of bliss and the fervor of pure devotion and love, everyone sat immersed in meditation. Total silence prevailed, the silence of inner peace. This hallowed atmosphere hung suspended in a sacred stillness as the cool, gentle breeze floated the beckoning call of the ocean from the west.